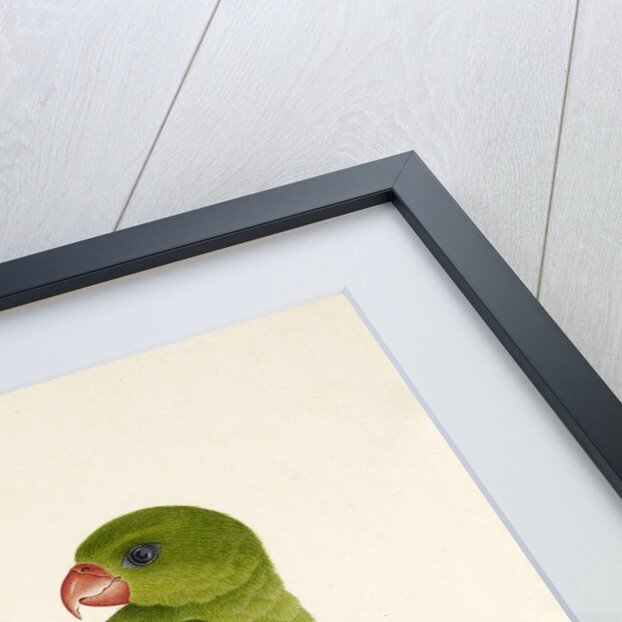 A Blue-backed parrot, also known as Muller's parrot or Tanygnathus Sumatranus. 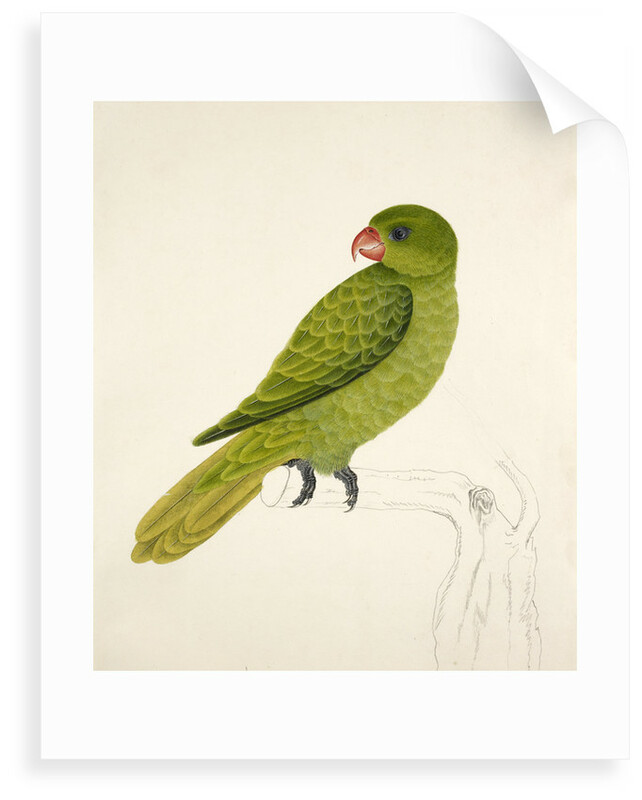 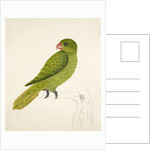 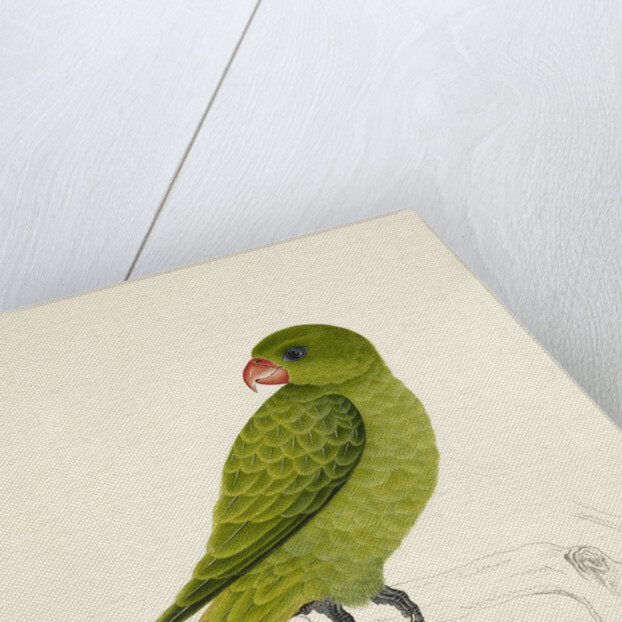 The illustration by J. Brios is taken from an album of 51 drawings of birds and mammals held by the British Library and originally made at Bencoolen, Sumatra, for Sir Stamford Raffles, the founder of Singapore, in 1824. 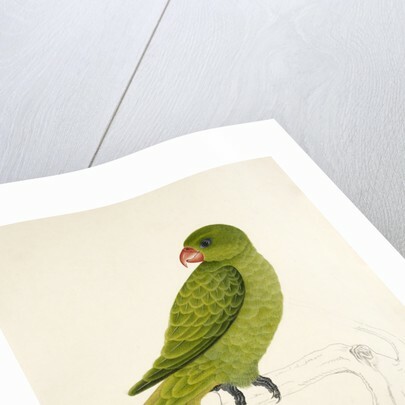 Raffles kept one of these birds as a pet which regularly `attended table`.